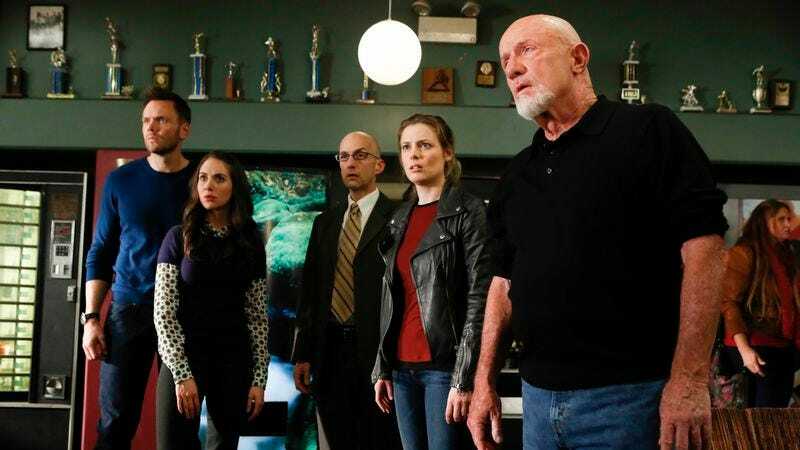 All through this long weekend after NBC so cruelly cut down Community, the cry has gone out over social media to anyone who will listen: Somebody needs to resurrect Community! And while I can share those sentiments—in that it would be cool for the show to get one last season to wrap things up on its own terms—I’m fairly certain it won’t happen. Here are some of the reasons why. Hulu is unlikely to have the money to resurrect the program: This is the great unknown of the whole situation, because nobody’s quite sure just how much spare cash Hulu has to spend on program development. For the most part, Hulu spends that money on programming far cheaper than Community would be (even a Community on a reduced budget) and on foreign acquisitions. Yes, the site is coming off an enormously successful year, but producing a season of television costs a lot of money. Netflix has that money. Amazon has that money. Does Hulu? If it really wants Community, we’ll find out. But if it doesn’t, it’s difficult to imagine one of the other streaming services (even Amazon, which is desperate to make a splash) ponying up when those same episodes would turn up on one of their chief competitors just months later. But what about cable? I’m glad you asked. But what about Kickstarter? This seems unlikely, for the simple reason that the legal headaches for a major corporation to put something on Kickstarter would need to be completely worked through, and that would take more time than the actors’ contracts are likely to allow. So another season of Community is unlikely. But that’s okay, for one simple reason. The show had a tremendous run: Community made it to five seasons and ran 97 episodes, far more than the vast majority of TV shows ever have. It had, by any stretch of the imagination, a terrific run, particularly when one considers how close it came to cancellation so many times. Is it really worth potentially sullying that reputation for a handful of additional episodes, particularly when it could be fun to see all involved stretch their wings? Will I watch more episodes of Community if they come along? Undoubtedly. And I’ll likely enjoy them, too. But everything—even TV shows—has to end, and Community is at a point where its legacy is secure. Why mess with that? One should never say never when it comes to Sony, which has been responsible for many of the most unlikely renewals and resurrections in the TV world these last many years. After all, this is the studio that got Til Death to over 80 episodes after Fox pulled it from the schedule a handful of episodes into season two. Could Sony get more Community on the air? Sure. But why should it have to? Community was a great show, one of the best of its era. But new shows—sometimes from the same people—will rise up to take its place. They always do. If it proves to be time to let it go for once and for all, don’t let that be a sad thing. Let that be, instead, a celebration of all that the show was so good at—including telling stories about letting things come to a peaceful, natural end.